Monica Oien is a Norwegian journalist, writer and TV presenter. 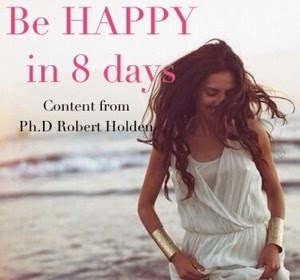 She´s also a jewellery designer of Inmotions Essentials and founder of The Room for Pilates online. She´s also a great friend and a truly inspiring person. A couple of years ago she did something really interesting. She not only took the soul searching journey on Santiago de Campostela Camino. She also convinced the famous bestselling author Paulo Coelho (whom she didn´t know by then) to take it with her as she would walk it again. For us Monica tells more about this exciting journey, and gives some valuble tips and insights. Monica, I remember you told me you walked the Santiago de Compostela Camino a few years ago, when was that? 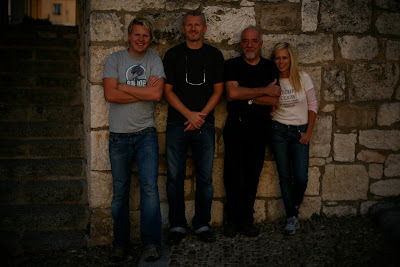 Well, I didn´t actually walk the entire Camino because I was working and filming with Paulo Coelho. 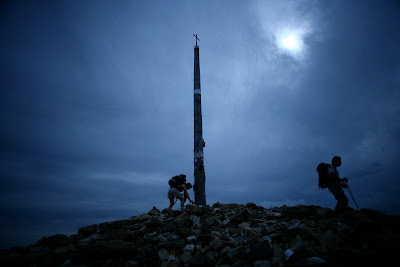 I was there twice passing through the whole Camino in 2006. 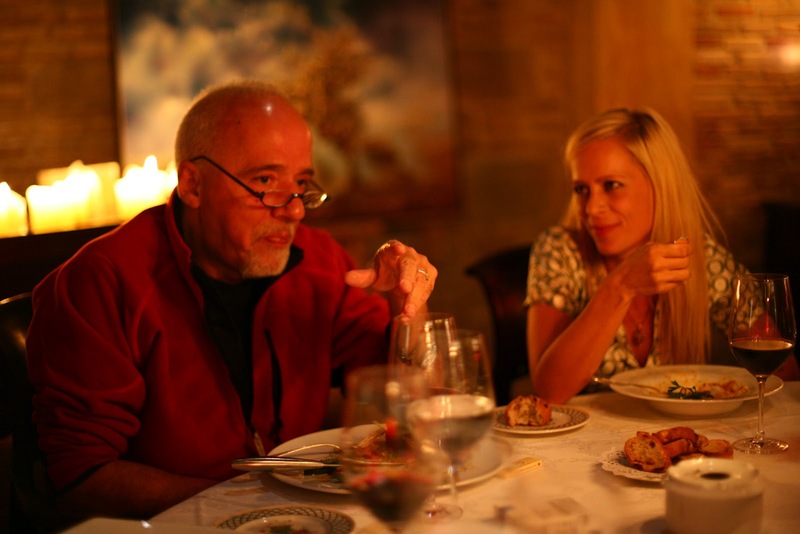 Your companion for the trip was no less than famous author Paulo Coelho. How is it that you made this trip together? I was very anxious to do two things: Walk the Camino and meet and interview Paulo Coelho. I was on the phone and e-mailing him for at least a year in advanced, and then he surrendered and we spent a week together. It was very inspiring. He had already taken the journey 20 years before, and he was very determined to keep that as a once-in-a-lifetime experience, which meant we went through the camino mostly by car, and some long passages by foot. 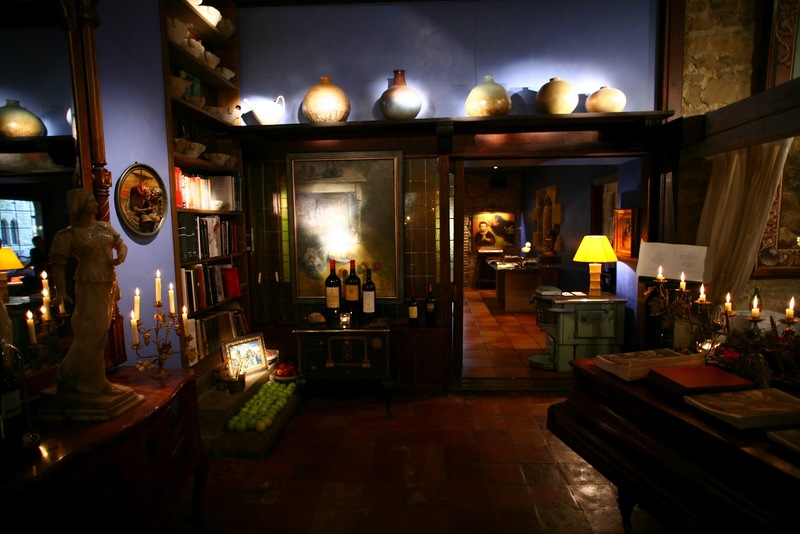 He showed many of his favourite places, restaurants and hostals. He really explained to me why and how many people do this journey. He even showed me his wifes painting that she had hidden below the soil surface - she put them there for a time to give them energy from mother nature before she would expose and sell them. How long did the walk take for you? The first time I was there with Paulo was in September 2006, for a week. 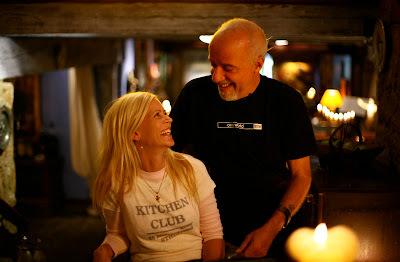 A month later I went back and did another TV serie from the Camino, called "På kjærlighetens vei". 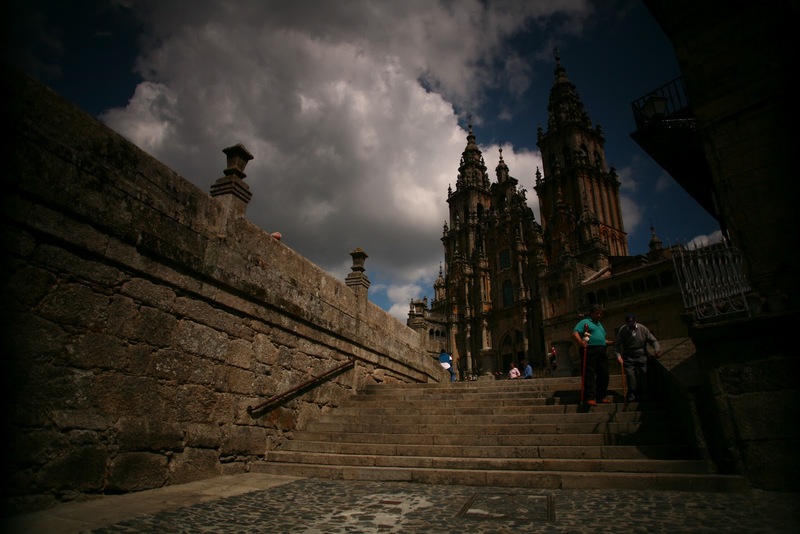 I brought three well known Norwegians, and walked with them from the beginning to the end, ending up in Santiago the Compostela. Unfortunalety, even on this trip, we had to go by car as well. We had to use a production car, after all we were filming and making the stories. Where did you stay during the walk? Can you recommend something to the readers?We mostly slept at the auberges, the hostals for the pilgrims.They are very cheap, you sleep in a room with many beds. But, you are so tired after all the walking that it really doesnt matter where you sleep. Although I have to recommend Paulos favourite hotel, Relaix & Chateux in Puente de la Reina, el Peregrino. Did you have any "spiritual" experiences during the walk, which is said to be expected?Many people do have spiritual experiences. I had my reason to do the journey, write the script and make the TV programs. I dedicated them to my brother who had passed away one year before. What can one expect when taking this walk? It all depends on how you do it. My script and my idea was soul searching. It was an existential journey where I allowed myself and my guests to reflect upon life in the past, present and the future. Ask yourself; how has my life been SO FAR (past)- have I been honest, happy, focused, did I make the right choices. 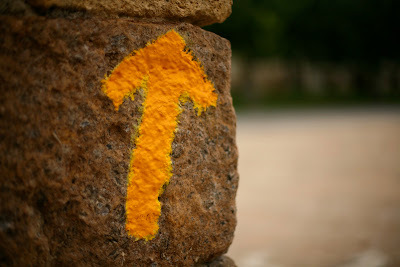 After passing 1/3 of the journey the next focus would be: How is my life NOW (present)? What am I urging for, where am I, where do I feel home, how is my relationship to my familiy, kids, friends? Is God near? Do I love what I am doing, my job? On the last third part of the journey its time to move to THE FUTURE and reflect upon the rest of your life. How many years do I have left in worklife? What are my values? To move on, is there anyone I need to forgive? Am I bitter? How can I make my life meaningful? Are there any books that you could recommend that describe the walk? "The Camino" written by Shirley Maclaine and Paulo Coelhos "The pilgrimage". Anything else you think we should know...? Think about the 750 kilometer long journey as a symbol of life from birth to death. Bring a little stone and lay down when you come to Cruz del ferro - the highest top on the Camino, and place it there as a symbol of something you would like to let go, something you would forgive, or simply as a memory of someone you love. Turn your face towards Santiago and leave your sorrow, anger or pain behind you and look towards your more conscious future, which is the rest of your life. Ask questions as you walk, talk with people and don´t be afraid to use the same clothes and smell like a vagabond, just surrender. You will, probably for the first time in your grown up life feel that you eat beacuse you are hungry, you drink beause you are thirsty, and you sleep because you are exhausted from all the walking.